Welcome to 1st Movers, specialists in moving pianos! We are available for any piano-moving job, large or small. Glasgow is not only known for Museums & Galleries but also has many spacious Georgian buildings, so it is not surprising that there are many pianos here, and that we have standard prices for moving upright pianos starting from £120.00. If you are based in Glasgow & don’t want to hire average movers to move that beautiful , expensive and very much loved piano of yours – Don’t sweat it we move Upright Pianos , Baby Grand and up to Concert Grand Pianos ! Even though we are based in Edinburgh our Piano Moving specialists team is in Glasgow EVERY WEEK ! To book your Piano move with the best specialist piano moving team Enquire Now – All jobs are booked on first come first serve basis. 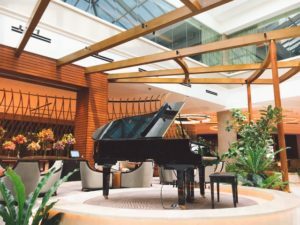 Click here for a quote and availability, please mention the piano type – electric, upright, baby grand, grand – in the additional requirements section. Please see our specialist piano-moving prices below, and if you have any questions please don’t hesitate to call us for a free quote on your specific piano-moving needs. Moving a piano from the ground floor to the ground floor → You will pay £120. Moving a piano from the 2nd floor in one property to the 1st floor in another will add 3 flights of stairs (2 down + 1 up), so 3 x £25 = £75 will be added to the base price of £120. → You will pay £195. Moving a piano from the 3rd floor in one property to the 1st floor in another will add 4 flights of stairs (3 down + 1 up), so 4 x £25 = £100 will be added to the base price of £120. → You will pay £220. Moving outside the 7 Miles Radius? We can certainly assist. You can pay the prices above, with only an additional fuel surcharge if the collection or the destination is outside the 7 Miles range. Please add £30 if you are outside the 7 mile range but within 14 miles of Glasgow city, such as Coatbridge, Bellshill, Clarkston, Paisley, Erskine, Strathblane, Kirkintilloch etc. To book a piano move please submit your details and addresses using this link and we’ll confirm availability and prices for you, please mention the piano type – electric, upright, baby grand, grand – in the additional requirements section. There are several variables involved in moving anything above an upright piano, therefore, we like to gather more details to provide an accurate quote for moving baby grand pianos, grand pianos and concert grand pianos. Please click here to provide your piano moving details and we shall be in touch with a quote and availability. We don’t only provide piano removal services in Edinburgh and Glasgow, we also provide piano moving services all over Scotland. If the origin is Scotland we can deliver your piano anywhere in the UK or Europe. Please provide us with the details of your move using the Online Enquiry form and we’ll be glad to provide a quote. We do London to Edinburgh and Glasgow to London runs frequently. We work hard to have satisfied customers, please consult our reviews page to see what our customers have to say about our piano moving service. To book your piano removal please provide us your details using our Piano removals Enquiry form. Our booking process is described in our How to Book section.